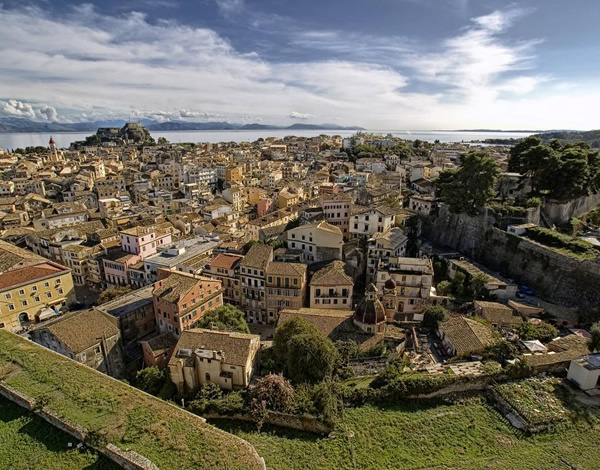 Ground floor apartment for sale in Corfu Town. This ground floor apartment for sale in Corfu town is conveniently located in a residential area, just a short walk from the the City center. The main entrance opens to a large lobby area which is currently used as dinning. Immediately opposite there is the kitchen. The good size living area is located on the right hand side of the lobby area and features a balcony door leading out to a balcony and patio area.. The bedrooms of the apartment are located on the other side of the apartment. One of the bedrooms features a balcony door leading out to a small patio and the second bedroom features a window looking out to the small yard.